I am not a big football fan myself, but I usually will root for whatever team my family or friends are rooting for. This year is no exception as one of my blogging besties, Nichole's favorite team the Broncos are battling it out today! I have joined her and a group of other Bronco fans for a SUPER link up and giveaway! We are sharing a SUPER classroom tip, a SUPER resource and a SUPER GIVEAWAY! My SUPER classroom tip is to hand over the grading to your students. I have delegated my grading almost entirely to my students and I LOVE it! 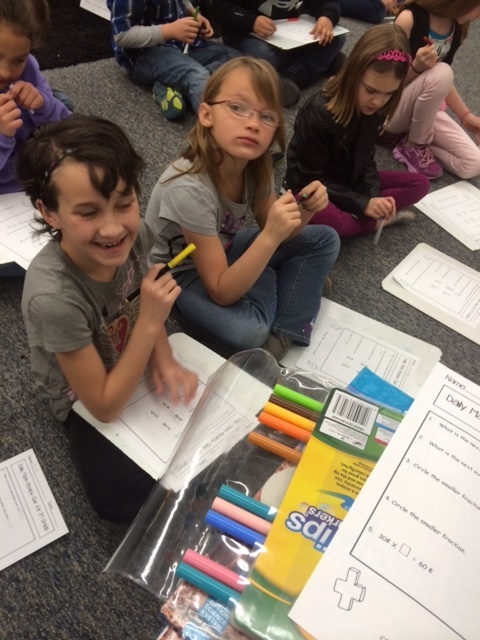 Each of my students takes a marker to grade their work (this keeps them honest). Then we go over the answers together. The students get instant feedback (which is super important), and I get less work to take home. 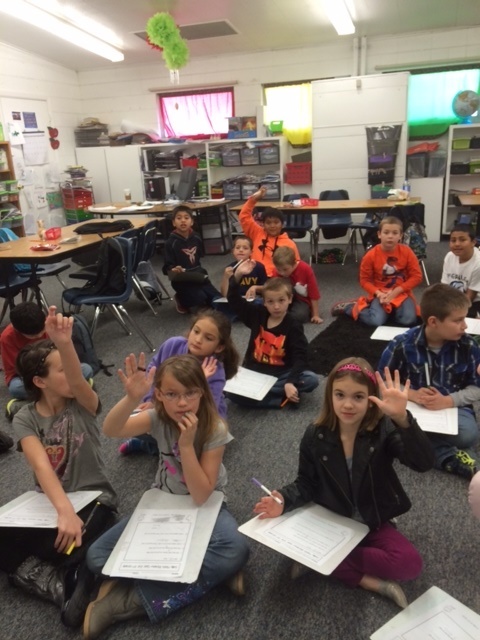 I am able to see at a glance who needs help by simply asking them to raise their hands if they answered correctly. 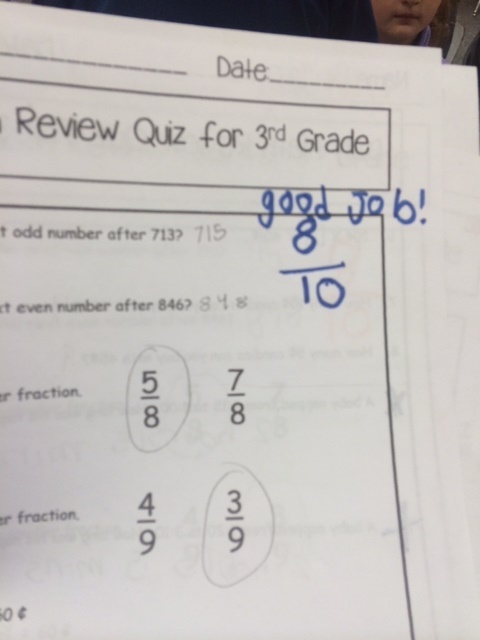 Handing the grading over has helped my students to be more meta-cognitive and take ownership of their learning. They even give themselves kudos and compliments! 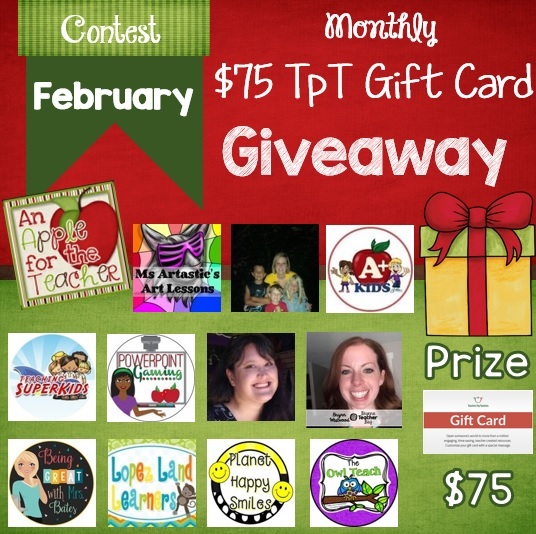 As part of our giveaway, you have the chance to win some great resources from all of the TpT sellers that are participating. 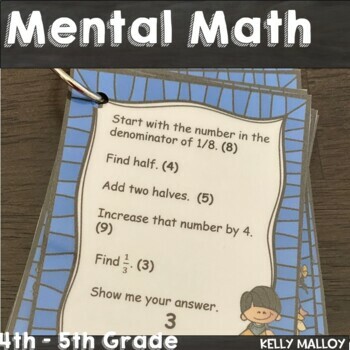 I am contributing my Mental Math Digits Game. 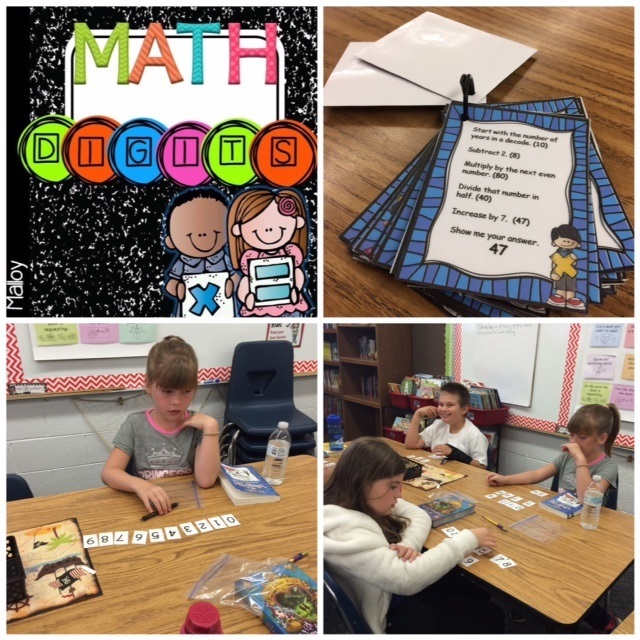 In this activity, students each have ten digit cards on their desk as you read each of the problem cards. The students use the digits to keep track of the math tasks they are computing in their head. My students love to play this and I love how it has increased their listening, problem solving, and computation skills! And now... Time for the Giveaway! We have some amazing prizes! There are three chances to win! We will pick one grand prize winner and 2 runner ups! Make sure to enter the Rafflecopter below for your chance to win! And... don't forget to visit the other bloggers for other great classroom ideas!